Manhattan Assistant District Attorney Roger "Butch" Karp has been around New York long enough to realize that the judicial system can be dirty and cynical. But he still believes in justice. So when a vicious sociopath tries to dodge a brutal murder charge by convincing the court he is incompetent to stand trial, Karp teams up with firecracker Assistant DA Marlene Ciampi to unleash the full force of their relentless energy, hardboiled wit, and passion for the truth to put the killer away for good. They will accept no lesser plea. 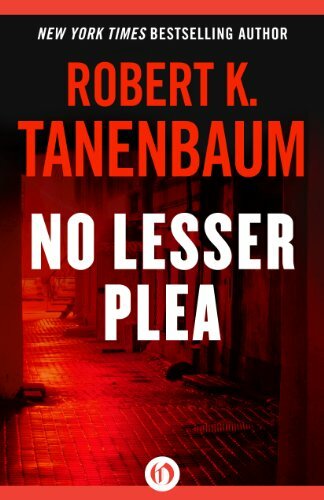 This ebook features an illustrated biography of Robert K. Tanenbaum including rare photos from the author's personal collection.